My Take: Jesus thinks this is the stupidest article ever written. Science is based on logic, reason and objectivity, it's based on observing the facts and making an intelligent decision. It's about testability and repeatability. Religion is based on blind acceptance of ancient mythology. right, i forget, first we must build straw men (as per logic correct?) and kill them so therefore we have no enemies right? because no christians use logic right? not a single christian has ever entered the faith based on logic; theyve only entered the faith based on blind ignorance and faith on a mythology right? You're posts are illogical, you're not making any sense. Science, philosophy, and religion are nowhere near the same. Science observes reality. Faith believes in something that is inherently untestable. Faith is nothing but opinion. Ah! The weekly religious hit piece. Obviously, I'm not in a pew this morning, but I find these commentaries to be cheap shots week after week. CNN, go visit a church and see if you can find anything good to report. Surely, there's some church or group of people sincerely, and quietly, trying to make the world a little better place in some small way. Sleezeballs. I feel like washing my hands. Go convert someone else. feel better sansideux? Hiding behind a computer and making anonymous attacks at religion over a CNN article. wow, way to go, every yahoo news and cnn article from the 90s on want their comments back. Christianity, like all religions, is nothing more than ancient mythology, written thousands of years ago by members of a primitive society in an effort to explain existence and comfort people in the face of their mortality. I've read both the old and new testaments cover to cover. I've read many other religious texts as well. They're all just ancient mythology from primitive cultures, nothing more. When I look around, I don't see a god flying around in a cloud or pillar of fire, I don't see sticks turning into snakes, I don't see rivers turning to wine, etc. etc. If that stuff was real and happened then, it would be happening now. I don't see miracles happening, all I see is a lot of ignorant people blindly accepting ancient mythology as fact, while rejecting modern scientific knowledge. If people would use their brains for a change, THINK about it using logic, reason and objectivity, then they would understand that it's just old myths. It's just so utterly obvious. 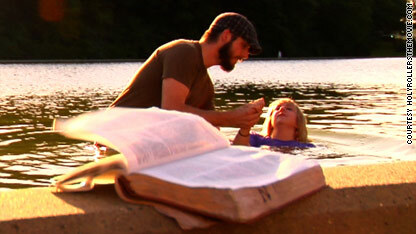 Like anything in the bible – jesus can be made to support your viewpoint. I am sure if you look hard enough you can find evidence he supports nekked female jello wrestling. That does not make it true. 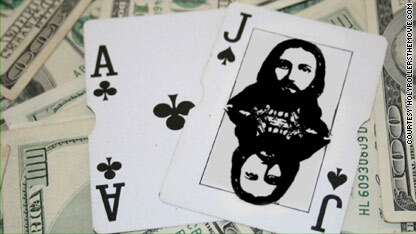 Jesus would prefer shooting dice over blackjack. Being part of the holy trinity he would have the omniscient power of the father, son and holy spirit. He would know what card is going to be drawn, because he's Jesus. it wouldn't really be much fun knowing what card is next up in the stack. Then again if he were shooting craps he could just perform a miracle and make the dice come up any fraeking way he pleases. No, I don't think Jesus would have much fun hanging out in casinos. If he were out of town on a vacation he'd probably just hang out at the local village well and pick up chicks. Did I read the article? No. But I bet my post make just as much sense and is more relevant to life in the 21st century than any guy's personal take on what some mythical desert peasant did 2000 years ago. The Devil comes in many forms and he often hides behind a veil of religion. I posit that if every christian would simply read their bibles, and stop listening to the excuses for same by their leaders, they would instantly become atheists or at the very least agnostics. There are so many contradictions for believing in their all-loving deity in that book alone to drop their entire religion as a hokey pile of steaming garbage. Mr. Drury should consider going back to gambling as his skills at writing are limited at best. You could say the exact same thing about big corporations. Capitalism is out of control and is promoting class warfare; the bane of what the framers of this great country had in mind. Every man is equal, no matter how much money he has, and we are a country who takes care of all of our citizens, not just the mes and mines. The sooner the christian right understands this (and they should if their Jesus has anything to do with it) the sooner this country would heal. right sansideux, its christians fault that america is fu*ked the way it is right? I'm not a big religious or gambling type person, but didn't the J Man knock over bunch of gambling tables that were in a temple? I doubt he'd condone gambling at all, let alone cheating at it, unless all proceeds were going to a worthy cause. It's funny how people can rationalize that what they're doing is okay by convincing themselves that God (or Jesus) is cool with it. Cheating, theft, murder, Inquisitions, jihads, holy wars; those sorts of fun things. What's religion got to do with legitimately beating the casinos? I know the casinos consider card counting improper, but would you expect anything different from them when it comes to cutting into their advantage over you? Card count away – sounds like a pretty empty life, but if that's what trips your trigger go fire the gun. If God gave you the brains, and you can count cards, go for it. No different than Pascal's wager .. it's all just a gamble. I, too, counted cards but was almost always thrown out by the pit bosses when they suspected me of 'counting', a practice the casino's call 'cheating'. Furthermore, the casino's are very wary of anyone who consistently wins and keep video profiles of thousands of players in their vaults.